Northwest Bamboo, Inc. specializes in crafting and distributing the finest quality in bamboo building materials, including dimensional lumber, plywood panels, veneer and countertops, and more. Welcome to Northwest Bamboo, Inc. Since 1999, we have been importing and distributing dimensional bamboo lumber and bamboo plywood panels. Homeowners, craftspeople, contractors and manufactures all get the same personal attention. We pride ourselves on our quality bamboo building materials and personal service. No minimums required and we do cut to ship. Our dimensional bamboo lumber has all of it's layers running the 8-foot direction. Vertical planks have one or two layers, horizontal planks have 4 or 5 layers, depending upon thickness. We offer four sizes of dimensional bamboo lumber. All of our bamboo plywood panels are 4’ x 8’. Panels are available in three types of construction: single ply, 3 ply and micro laminates. The single ply is used for items that will have multiple layers built up and where the bamboo's strength and flexibility comes into play, such as skateboards and archery equipment. The 3 ply is cross laminated with the core going the 4' direction. These panels are very strong and can be used for furniture, cabinetry and crafts. 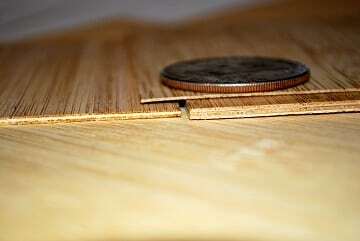 The micro laminates are made from cross laminated bamboo veneer. Even though these aren't very thick they are very tough. They are used extensively in the laser cutting world for things such as bamboo jewelry, signage, point of sale boxes and product displays. 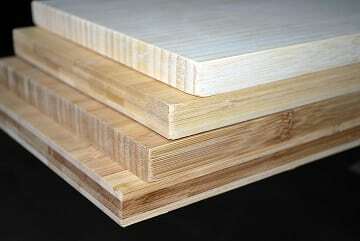 Cross-laminated, 3/4”, 1/2” and 1/4”, vertical, horizontal & strandwoven. Micro-laminated, 0.9mm, 1.5mm and 2.7mm, carbonized vertical only. Our bamboo veneers come with a cellulose veneer backing and can be glued with the same adhesives as other wood veneers. 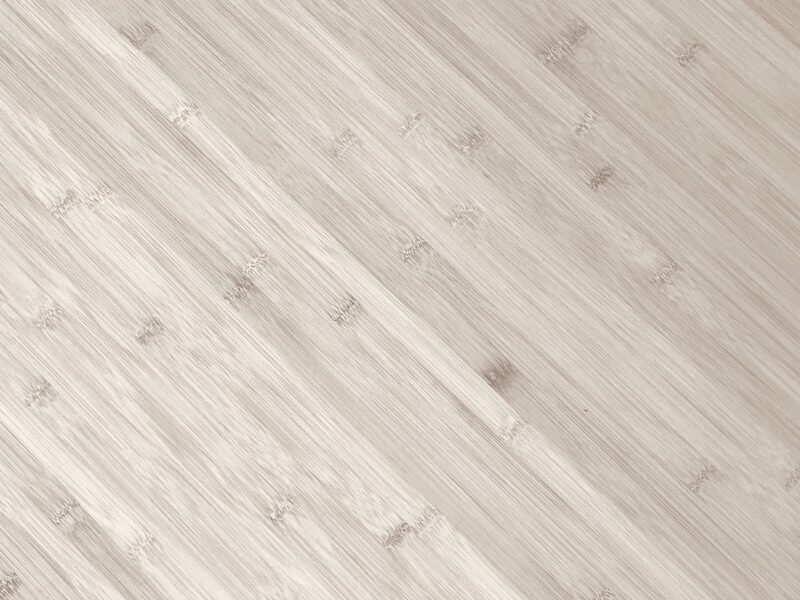 The sheets of bamboo veneer are 49.5" x 98''. The two grain patterns are vertical and horizontal and the colors for each are natural and carbonized.